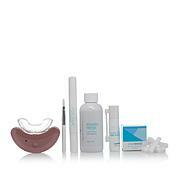 A simple and easy at home whitening system designed to help you achieve rapid whitening results. 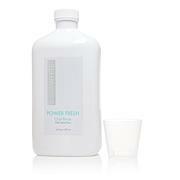 Contains Xylitol, a natural sweetener which has been known to make plaque less adhesive to teeth. 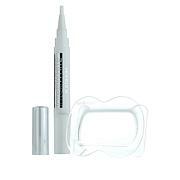 After 4 days of use as directed twice daily, participants in an independent 3rd party Clinical study saw an average of 6 shades whiter and as never seen before in intelliwhite, an average of 8 shades whiter after 7 days of use. Ingredients: Active Ingredient: Sodium Fluoride (0.243% w/w) (0.15% w/v Fluoride ion) Inactive Ingredients: Water, Hydrated Silica, Glycerin, Sorbitol, Pentasodium Triphosphate, PVP, Xylitol, Titanium Dioxide, Cellulose Gum, Sodium Lauryl Sulfate, Sodium Methyl Cocoyl Taurate, Sodium Benzoate, Flavor, Sucralose, Sodium Hydroxide. Ingredients: Propylene Glycol, Purified Water, Glycerin, Hydrogen Peroxide, Triethanolamine, Carbomer, Xylitol, Spearmint Essential Oil, Potassium Nitrate.